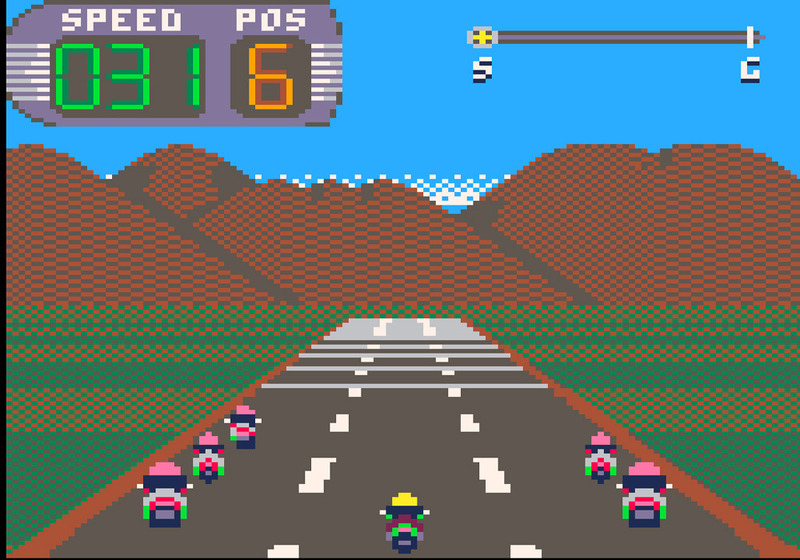 "A retro motorbike racing game"
Acceler8 is a retro styled racing game, with 8 bit looking graphics and a matching soundtrack, where you play as one of eight motorbike racers and must try to vie to be the first across the finish line (as is the case in most racing games). 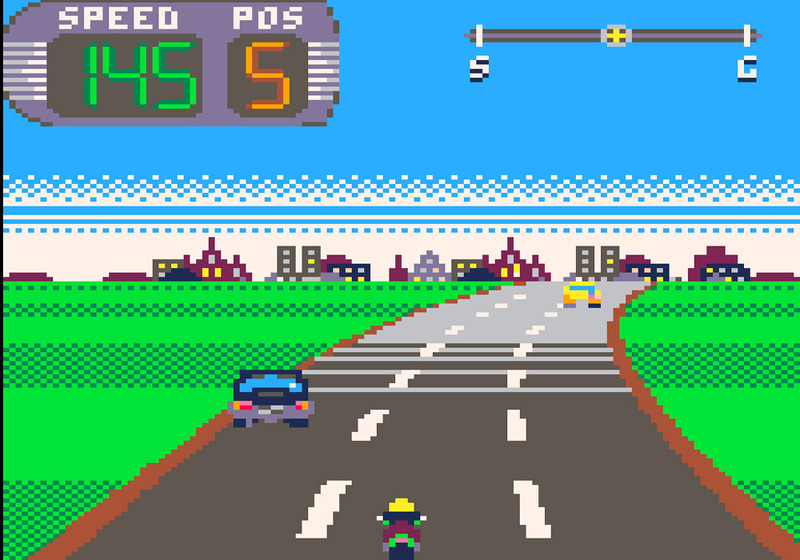 The game is admittedly fun for a short time and whilst games such as Outrun will always have a special place in our hearts for those of us old enough to remember them, and recreating that feeling is something we have long yearned for, however Acceler8 just didn’t do it for us, the steering is clunky and unresponsive, the huge deceleration whenever you come even slightly off the road is incredibly annoying and can put you from first in the race to last in a few seconds, and making that time up is next to impossible, you could say that the game is challenging in that case and whilst we love a challenge, there is just not enough about this game to make that challenge the amount of fun that it should be. While some of you may look on in awe at the graphics and ponder if that’s how they really used to be (yes they did look that bad but in the 80’s they seemed amazing) sadly this game left us wanting more and whilst a good retro game is always appreciated, it’s nice if it can be done with a modern or original twist to make it stand out and this really is very run of the mill stuff, however if you still yearn for the days of the ZX Spectrum or Commodore 64 then perhaps you will get a kick out of this. 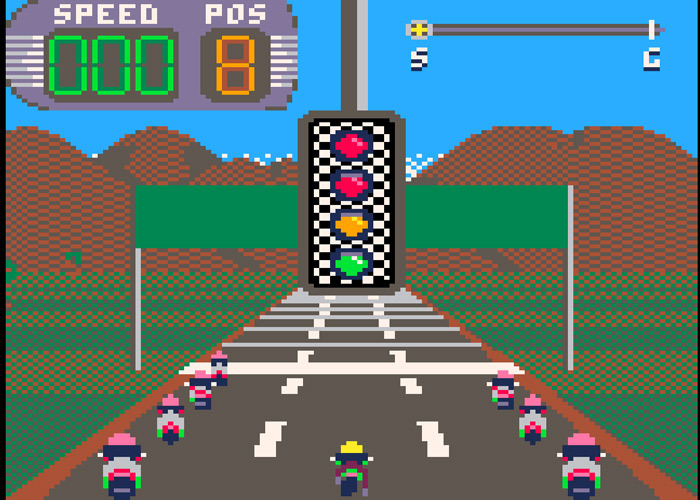 You can download Acceler8 here for free.